For those of you who might wonder whatever happened to the Max Allan Collins/Matthew Clemens writing team, this answer is…here’s a new story by us in a great new anthology with a killer line-up of writers. It’s a visual feast of a book, as the cover itself tells you. But every story has a great illustration, and that includes ours – Steve Chanks did a great job, and I’ve shared it here with you. Welcome to the cool side of the 1950s, where the fast cars and revved-up movie monsters peel out in the night. Where outlaw vixens and jukebox tramps square off with razorblades and lead pipes. Where rockers rock, cool cats strut, and hot rods roar. Where you howl to the moon as the tiki drums pound and the electric guitar shrieks and that spit-and-holler jamboree ain’t gonna stop for a long, long time . . . maybe never. This is the ’50s where ghost shows still travel the back roads of the south, and rockabilly has a hold on the nation’s youth; where lucky hearts tell the tale, and maybe that fella in the Shriners’ fez ain’t so square after all. 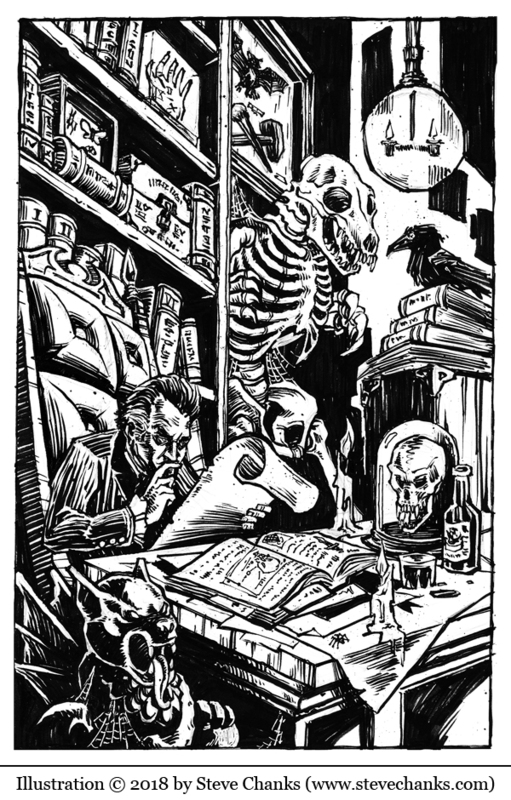 Where exist noir detectives of the supernatural, tattoo artists of another kind, Hollywood fix-it men, and a punk kid with grasshopper arms under his chain-studded jacket and an icy stare on his face. 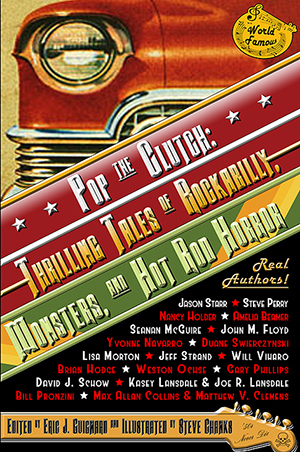 This is the ’50s of Pop the Clutch: Thrilling Tales of Rockabilly, Monsters, and Hot Rod Horror. This is your ticket to the dark side of American kitsch . . . the fun and frightful side! This is one of my shorter updates, because I am working on the new Quarry novel, Killing Quarry, and doing my best to get it done before the upcoming Mob Museum appearance in Vegas by Brad Schwartz and myself, having to do with celebrating a certain day in February (think about it). More, much more, about that very soon. For now I’d just like to reflect on how interesting it is to me when I see which topics I explore cause a lot reaction and comments, while others – including ones I thought would spark controversy or at least talk – get no reactions at all. At least not in writing. The two updates that really caught your attention lately were, first, the discussion of “Baby, It’s Cold Outside,” and second, my twelve favorite film directors. I get a real kick out of how my choices of the latter frustrated and irked some of you. As I said in my comments last week, there’s a big difference between a “favorites” list and a “best” list. I would be remiss not to include, say, Kurosawa and Kubrick (to name a couple K’s) on a best directors list. 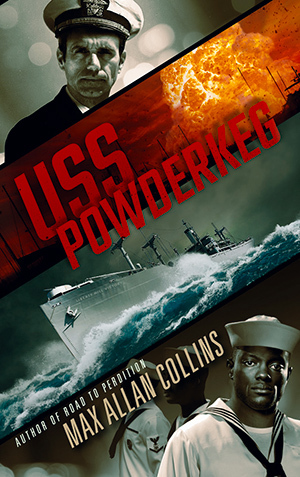 But I have every right to prefer watching Don Siegel or Joseph H. Lewis movies over theirs. Favorite is personal taste – one would hope somewhat informed taste, but personal. My favorite color is green. Getting back to Pop the Clutch, here’s a nice review of it. And here, in addition to Amazon, is where you can order it.